Fiona Talkington presents an exclusive recording from the 2017 Emulsion festival, plus music from Robert Fripp and Karen Dalton, and Michael Tippett's A Child of Our Time. Fiona Talkington has an exclusive piece recorded at Emulsion festival in Birmingham, a new music festival curated by the composer and saxophonist Trish Clowes. We continue to thread in odes to the urban from prog guitar king Robert Fripp, cult folk-blues singer Karen Dalton, and Irish electro-acoustic artist Cathal Coughlin. 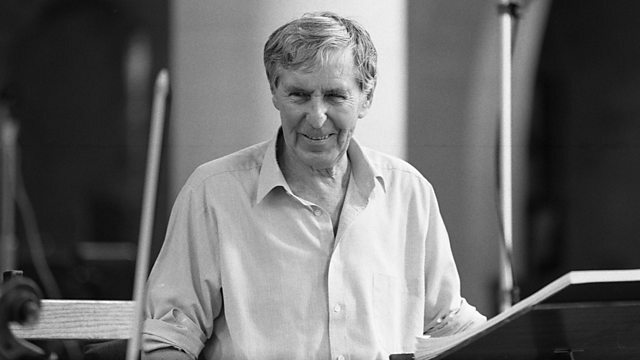 Also a chance to hear American work songs rubbing shoulders with Michael Tippett's Child of Our Time. Radio Thailand: Transmissions From The Tropical Kingdom. Recorded Live at Emulsion Festival 2017. Don't You Hear Poor Mother Callin'? Prison Songs: Historial Recordings From Parchman Farm 1947-48: Volume Two. A Child of Our Time: Part I: A Spiritual (Chorus and Soli): "Steal Away"
Parchman Farm: Photographs And Field Recordings, 1947-1959. A Child of Our Time: Part II: A Spiritual: "O By and By"
Prison Songs: Historial Recordings From Parchman Farm 1947-48 Volume Two:. On The Nature Of Electricity & Acoustics. hape Platform 2016 - Sound, Heterogeneous Art And Performance In Europe.